Hit The Trail Mix Organic is our classic snack for backpackers, hikers, mountain bike riders and athletes of all ages, that share a passion for the outdoors. Simply put, this is a spectacular Trail Mix that keeps your engine running at high revs, while you enjoy a healthy outdoor lifestyle. The classic combo of sun splashed raisins, roasted peanuts, tamari roasted almonds, tamari roasted sunflower seeds, pumpkin seeds, and cashews reminds you that great taste and health can go with you wherever you seek adventure. 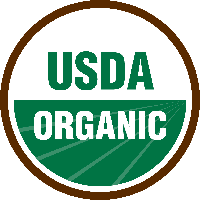 Kosher Parve (no Dairy) and USDA Certified organic.